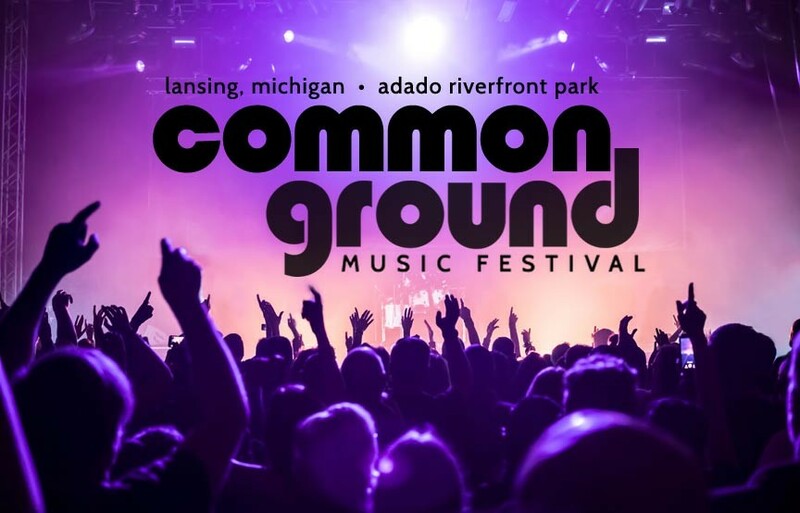 Get Set For Lansing’s Common Ground Music Festival 2017! Summer is almost here and there’s no surer sign of the season in these parts than the buzz around the upcoming Common Ground Music Festival! This popular, 4-day festival is celebrating it’s 18th year with top artists like Alessia Cara, Toby Keith, LiVE, Big Sean, LOCASH, Fetty Wap and more. July 6th through the 9th at Lansing’s Adado Riverfront Park. Common Ground Music Festival has been bringing big names to the Lansing area for 18 years, now. More than 500 artists have now performed in the along the banks of the Grand River at the festival. A crowd of talent that includes 40 Grammy Award winners and 26 Rock-and-Roll Hall of Fame inductees! Though the 2017 festival has been scaled back from previous years’ 7 days to a more concise 4, it hasn’t lessened any of the event’s punch. This year’s lineup continues the tradition of bringing top-level, national and regional performers to our area each summer. The genre-spanning constellation of talent covers everything from rock to country, hip hop to soul, and all on two stages over 4 days. Add in the intimate venue, state of the art production, and a variety of food and drink vendors and you’ve just described Michigan’s premier outdoor music event of the summer! Posted in Events and Festivals | Comments Off on Get Set For Lansing’s Common Ground Music Festival 2017!